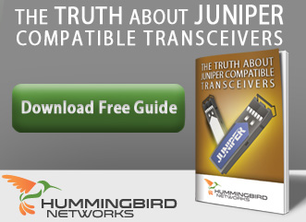 Hummingbird Networks offers carrier-class quality compatible Juniper optical transceivers. They are proven to be a high performning and reliable alternative to Juniper branded product. All optical transceivers are tested to ensure world class quality and reliability. Hummingbird Networks branded Juniper compatible optical transceivers ship with a limited lifetime warranty.